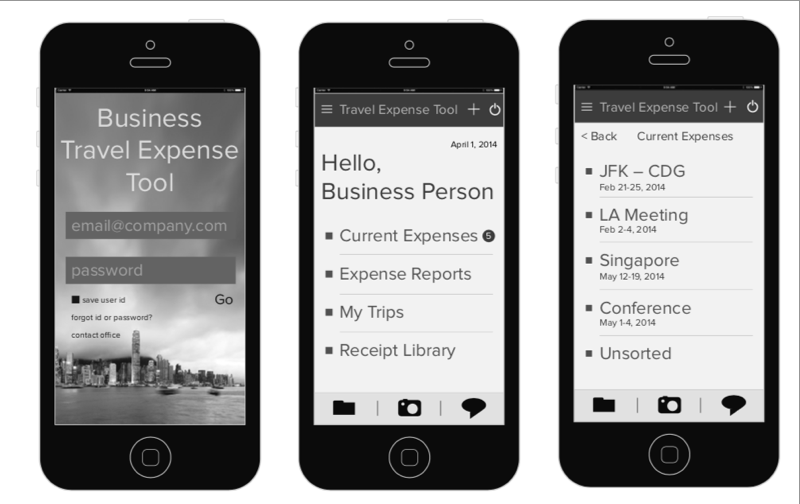 About the project: A tier-one bank wanted to create their own internal, mobile-first T&E management tool for their business travelers. Much like their competitors and other Fortune 500 companies, they were contracted to the leader in the T&E management space. The contracts were costly, and most of all, the employees hated using this third party vendor. Despite its rather large size, the bank operated with a startup mentality. They invest heavily into the employee experience, from the architecture of the office space, perks, education, all the way to business travel. We all had our own gripes with the existing solution. However, we needed to hear from the other employees on their thoughts to validate our opinions. 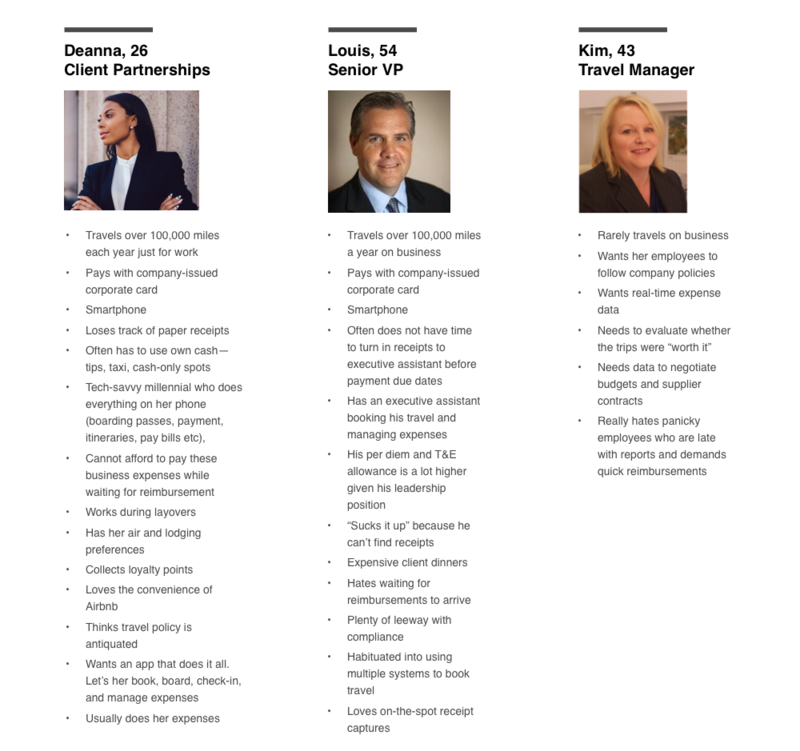 We identified a cross-section of employees varying in age groups and levels to interview: the road warriors, the travel and compliance managers, the approvers, the executive assistants, and even the infrequent traveler. In this exercise, we identified the three main users. -Current system did not allow for itinerary changes and rebooking. 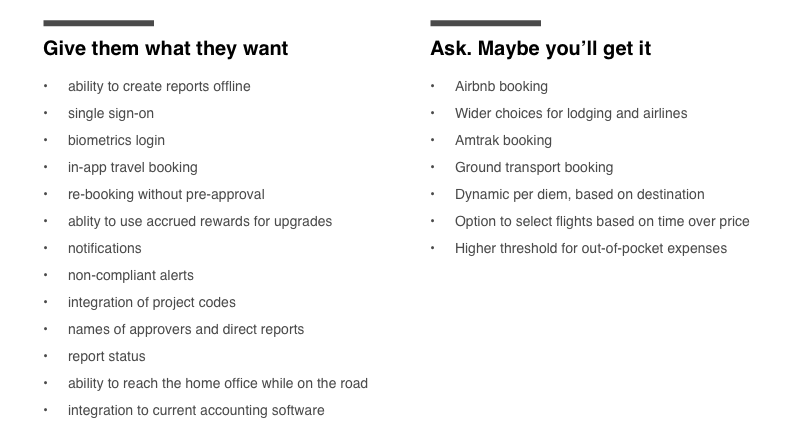 Travelers needed to receive firm approval prior to rebooking. We layered feasible, quick-win features that the users (both admins and travelers) wanted and wanted now. \While most of these can be solved with within the app, there are operational issues that cannot through an interface. Compliance, for example, requires a firm-wide change. There are also existing contracts with preferred airlines, car services, and hotels that cannot simply be ripped up by procurement teams. 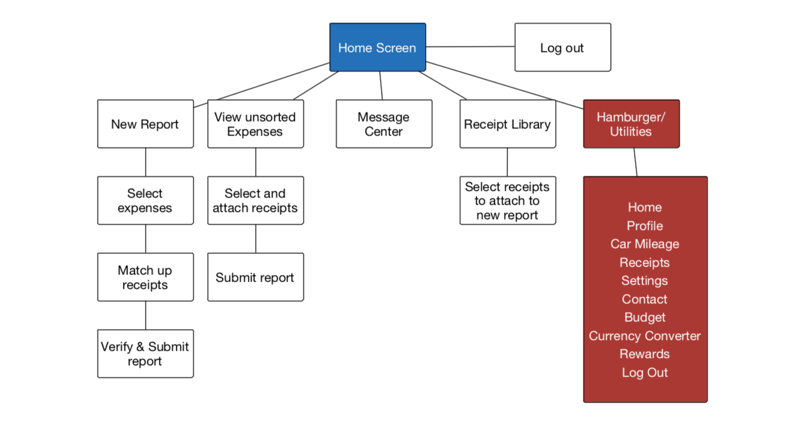 Mapping out all the key screens helped us identify how large this application would be. 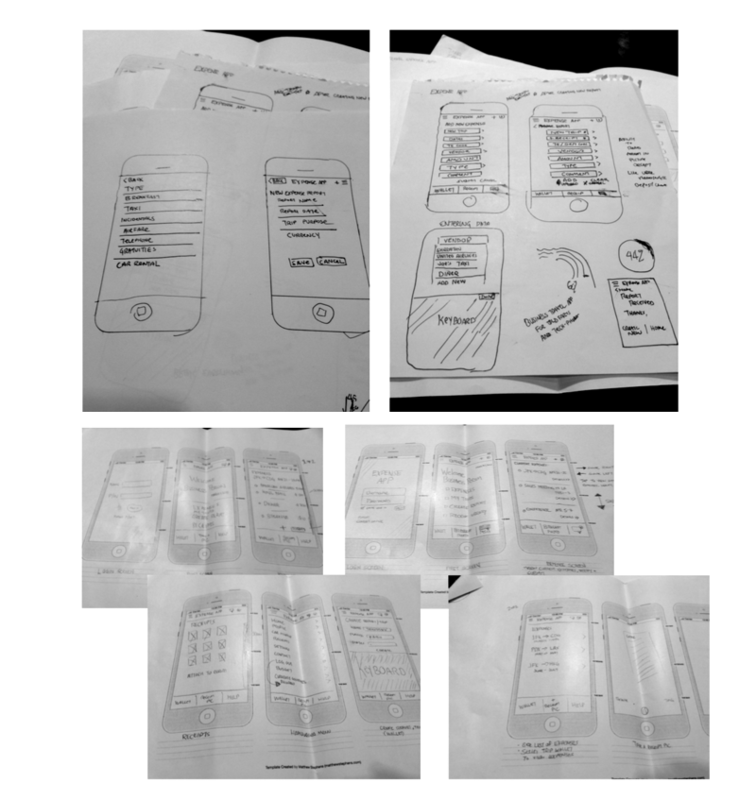 As we continued designing, and business asks evolved, the map continued to grow. 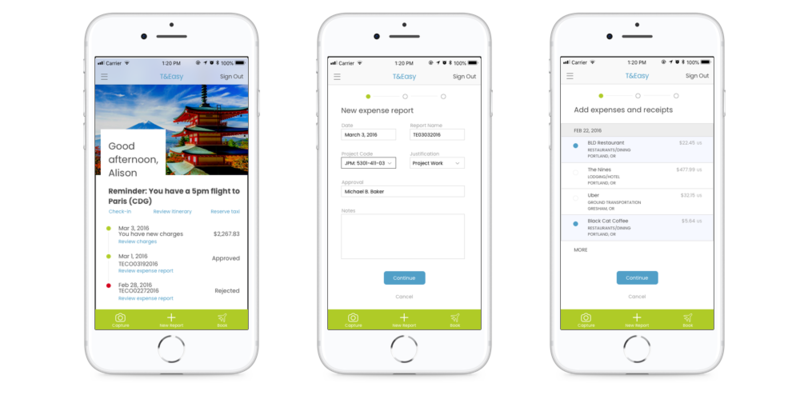 From the onboarding process to snapping photos of receipts, managing card charges, to creating the expense report, this is a task-oriented product with complex transactions.